William Gulliland was an outside right who was renowned for his speed. 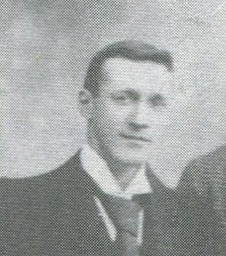 Netting 17 goals in just 47 appearances, he also collected Scottish Cup winners medals with the club in 1890 and in our last Scottish Cup triumph (to date!) in 1893. He was also selected to play for Scotland on four occasions, twice against England and once each against Wales and Northern Ireland. Outside of football, he was an auctioneer.